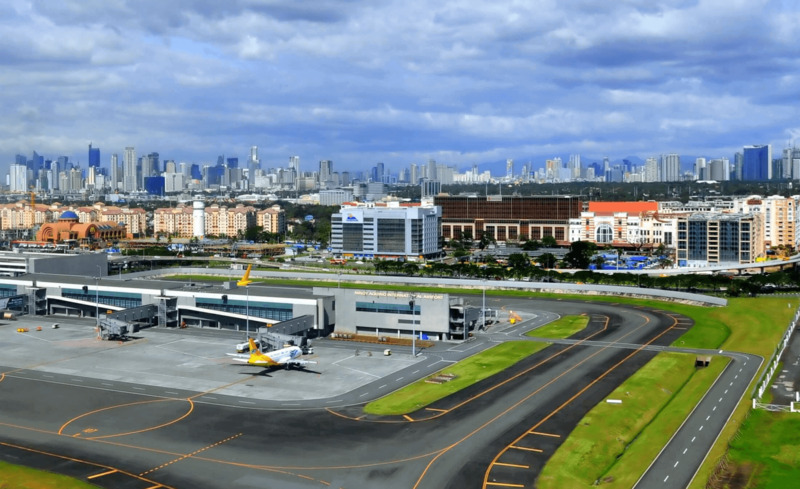 Manila Ninoy Aquino International Airport (IATA: MNL, ICAO: RPLL), which is also known under its codename ‘Nichols Field’ (Nichols), started its operation in 1935 in Grace Park, Caloocan. Initially was used by the Philippine Air Lines (Philippine Aerial Taxi Company back then) for the domestic flights only. In July 1937, the airport became the hub for the flights to Manila. Only in 1948, the airport was moved to the nowadays site ‘Nichols Field/Nichols Air Base’ which was established in 1919 and later on became the home for the Philippine Air Force (PAF). In September 1961 the 1st official terminal for international flights was built, however, was damaged by the fire back in 1972. Therefore, the smaller terminal was constructed on its place as a temporary solution until 1981, when Terminal 1 (as it is known now) was built to manage all international flights. In August 1987 the Terminal 1 was named after Benigno "Ninoy" Aquino, Jr., leader of an opposition movement, who was assassinated at the Manila International Airport in 1983 after returning from his self-imposed exile in the United States. In 1998 Terminal 2 (the Centennial Terminal) was constructed and the construction coincided with the 100th anniversary of the Philippines Declaration of Independence from Spain. Earlier in 1997, the construction of Terminal 3 was approved, however, it has started its partial operation only in 2008 due to some technical and legal issues.